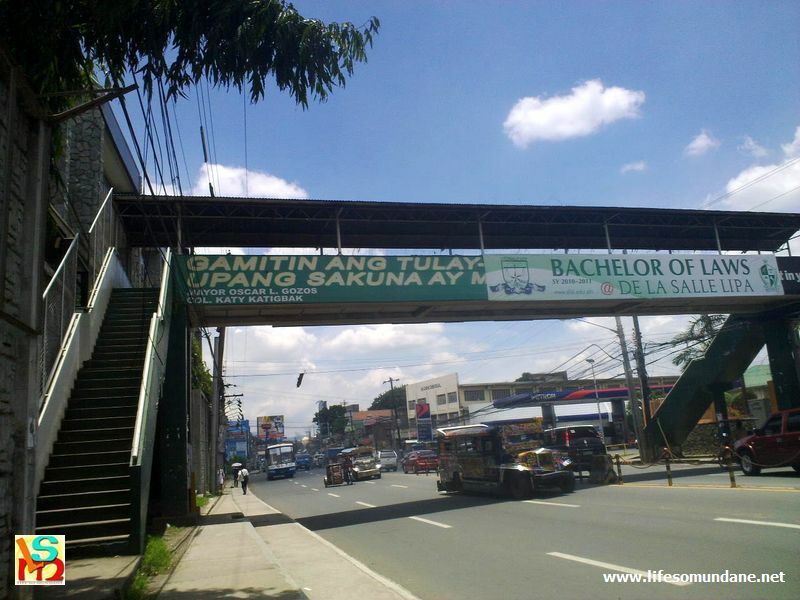 That much-maligned pedestrian overpass in front of De La Salle Lipa which so many people are reluctant to use just happens to be something that the school actually asked for. The request for its construction was made partially as a consequence of the death of one of the school's football players back in January of 1991. The boy's name was Ariel Carbonilla, youngest of three Carbonilla brothers who played varsity football for DLSL. The boy was run over and killed by a BLTBCo bus right in front of what was then the school’s main gate fronting the entrance to Villa Lourdes Subdivision. The incident was traumatic for the entire school, enough at any rate for the administration at the time to approach a local citizen who had connections with the Ramos government to have the request expeditiously approved and executed. 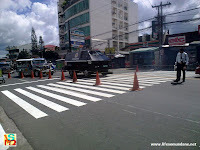 Because the overpass was to be constructed along J.P. Laurel Highway which is a national road, its construction was undertaken by the national instead of city government. Once the request was approved, construction of the overpass did not take long because most of the parts needed were prefabricated. The overpass is still used; but not an awful lot. Unlike in the past when city government washed its hands of it, in recent years the city administration turned to the school to help keep the overpass clean. Once done, people were naturally eager to use the overpass because of its sheer novelty alone. The complaints did not take too long to arrive, however. 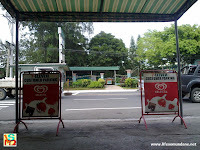 Some said that the overpass should have been constructed directly in front of the main gate so that users – mostly bound for the school – simply walked straight into it. It was not, of course, as though the distance to the overpass’ staircase was significantly far. Others complained that the overpass was too high and its staircase was steep and difficult for children with their large bags to ascend. The height of the overpass, it has to be said, was dictated by the clearance needed for the tall PNOC container trucks that passed by regularly. In the ensuing years, a street dweller literally made a home of the overpass, often urinating and defecating on the concrete walkway. Some mornings, students and their companions would find the man still asleep with his privates exposed. In short, more and more people preferred to jaywalk instead of use the overpass. Even its maintenance was an issue. Any references to this were politely declined by the city government which correctly pointed out that it was the concern of the national government. Perhaps, the single most important factor that dissuaded people from using the overpass was when the college started to grow and the former main gate was relegated to a secondary entrance. Brother Rafael Donato, who was behind the growth of the college and the construction boom that changed the focal point of the school, did not really know a lot about how the overpass came to be. It was not as if, however, consideration of one overpass would have stopped the good Brother from his plans. In latter years, particularly, traffic aides looked harried trying to convince pedestrians to use the overpass, instead. 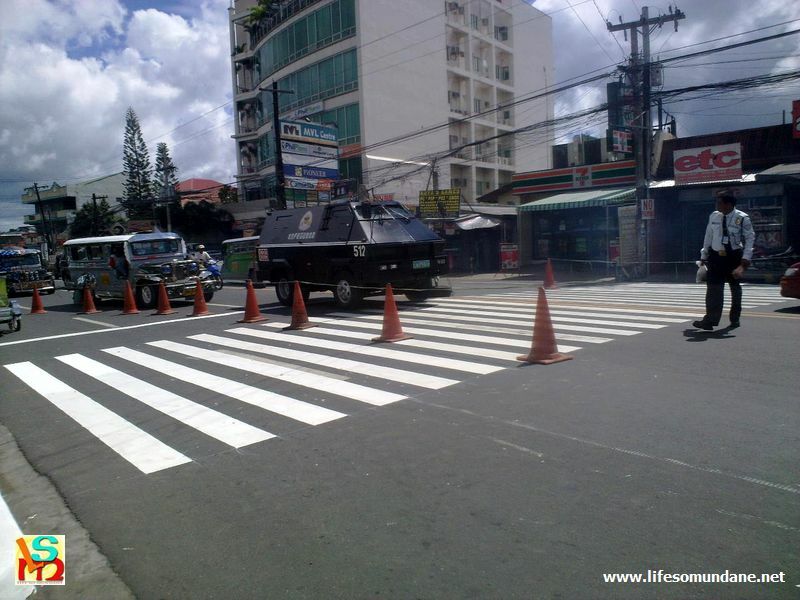 Jaywalking is, of course, an undeclared Filipino sport. Physical barriers helped to deter jaywalkers; but not all. The brazen would actually mock the traffic aides by sprinting across the road, hopping over the barriers and then happily sprinting into the gates of the school away from the reach of the annoyed aides. These days, a pedestrian lane almost directly in front of the second college gate has become the main crossing point for pedestrians. Although many people shunned the overpass, for a long time it actually enjoyed one frequently overlooked distinction. 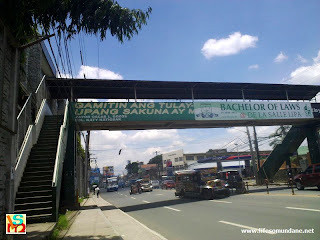 It was the first overpass built in the city of Lipa. Before the construction of the one in front of SM – which does not even have a roof, it has to be said – it was also the only overpass in the city.